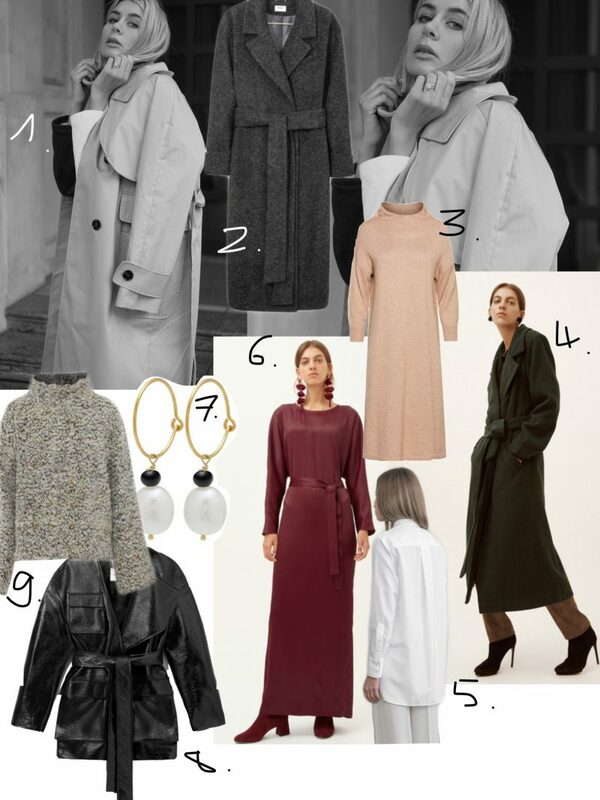 Although temperatures have been more or less acceptable so far, winter is coming closer and I’m happy to show you my Winter Wishlist from Showroom*. Showroom is Europe’s largest marketplace for independent designers, focusing on fair trade and animal experiment and fur-free fashion. I like! 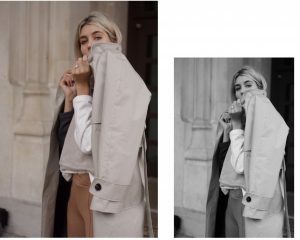 In addition to my wishlist, I have also put together an Outfit for myself from Showroom, which consists of comfortable and timeless winter essentials, such as the trench coat by Elementy. My Showroom Wishlist consists of other classics and some elegant highlights for Christmas Eve or New Year’s Eve. I have put special attention on timeless pieces that won’t sorted out after one season and convince me with high quality materials. A timeless classic. I especially love the relaxed cut which leaves enough space for cozy sweater. a classy Coat with Waist Belt belongs in every winter wardrobe. perfect for everyday! A cream colored Knit Dress is another basic for my winter Wardrobe, love wearing it with Over Knee Boots. something different than always black and gray and yet timeless. The green wool coat from Anel convinced by the straight and casual fit. a Classic white shirt with a long cut is the perfect basic for every winter layering look. My dream dress for the Christmas holidays – elegant, timeless and not overloaded. Let’s continue with Christmas Eve Essentials – timeless silver earrings, gilded with freshwater pearl. edgy and super cool – I love the lacquered leather jacket by BOHOBOCO and would wear it casual with oversized jeans and turtleneck. gray mottled, coarse bouclé with turtleneck – another, special classic and last piece on my showroom wishlist.